Lest there be any confusion, this is a direct response to an article posted at American Vision in which I was referenced indirectly and implicitly again and again and again in a hit piece that, while making precise references obviously aimed at yours truly, diligently refused to directly link, quote, or engage with what I’ve actually written in detail on the subject of the Lone Ranger Christianity movement that has taken root within the broader AHA™ camp…all while whining about how ridiculous it is to attack views without accurately representing them. “There is an intense debate on ecclesiology going on in Reconstructionist circles, but the rhetoric seems more intense than the substance in many cases. In some ways this debate is similar to previous intramural debates within the community. In other ways it is not. One difference is that this time around we have platforms such as Facebook. Although social media is a great tool, it is also used too often as a means to throw loaded, attention-seeking, rhetorical bombs at your intellectual opponents. The author goes on from here to make numerous specific references to me, which is no big deal in and of itself. The problem (one of many) is that the author never bothers to quote me. At all. Forget even worrying about quoting me accurately or in context. He just “forgets” – again and again and again – to share with American Vision readers what, exactly, he is railing against. This from a guy who claims to be all about the details, all about the research, and all about the vigorous examination and pursuit of truth while frequently berating others for not living up to his high (or is that down to his low?) standards. Please understand that when someone takes the particular approach that American Vision chose in the composition of this article, it’s no accident. It’s not an accident that they don’t quote directly. It’s not an accident that they don’t link to the articles that I’ve actually written. “. . . These sharks have lost their teeth. While these Reconstructionists are quite helpful in regards to many issues, on ecclesiology they lack any burn. Thousands of words have been written and spoken on this topic: from Hodge, to Bavinck, to Rushdoony, to Chilton, to McDurmon, to Marinov. Much has been written on this topic. It is not a new discussion and the views held on the Church are not new. These links provide just a taste of what has been discussed. Intellectual Schizophrenia Chapter Four by RJ Rushdoony deals directly with Two Kingdom ecclesiology. Also discussed here and here by myself. The Catholicity of Christianity and The Church by Herman Bavinck deals with the Two Kingdom implications of conflating the universal Church with institutionality. Systematic Theology Chapter Seven by RJ Rushdoony is an in-depth exploration of ecclesiology and authority. This volume is avoided at all costs by those who oppose Reconstructing ecclesiology according to God’s Word. A dangerous book for the best reasons. 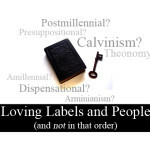 Modern Presbyterianism and the Destruction of the Principle of Plurality of Elders by Bojidar Marinov tackles certain problems with modern Presbyterian polity while (ignored) defending Biblical eldership. The Work of the Ecclesiastical Megalomania by David Chilton is a lecture given that discusses ecclesiological abuses AND the theological root of ecclesiological abuses within the Reconstructionist community. Within Chilton affirms Biblical eldership. This lecture was viciously assaulted and condemned. Some things haven’t changed. Equivocation on “the church” and the church it’s destroyed by Joel McDurmon exposes the equivocating of Two-Kingdom Ecclesiology purveyor Kevin DeYoung, likewise exposing the same ecclesiology held by some Reconstructionists. The Nature, Government and Function of the Church: A Reassessment by Stephen Perks offers a great reassessment of the nature of the Church. This is but a small sample. Needless to say, much has been said. So we’re obviously finally gonna get some links and quotes as to “what the latest critics of Reconstructing ecclesiology have to say”, right? Especially the “fire breathing”-ish and/or shark-related articles so clearly referenced, right? Links and quotes of that sort must be just around the corner…right? “It would seem that many would have you believe that our views on ecclesiology are based on emotional responses to our own personal anecdotes and bad experiences in the institutional churches. It would seem we are obsessed with the exceptions and we miss the rule. The claim is that our feelings are hurt by bad experiences we have had in institutional churches and we therefore adopt positions that fit our experience. 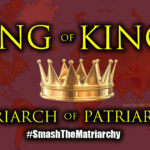 Perhaps these articles, podcasts, and social media posts are written [but not linked to here so that the reader might easily examine them directly] in response to some other Christian Reconstructionists that have earned the scorn of these institutional church defenders? Maybe there really are a handful of Church-hating rebels that scorn any thought of elders or fellowship? But no. They are talking about the Reconstructionists and Abolitionists that have been questioning the standard ecclesiological presuppositions of the modern Reformed Church. In fact, when asked for resources on ecclesiology that answer what I and others are saying, we are directed to articles that do not address our specific questions. But we are told they at the same time answer our objections. To be sure, these purveyors of ecclesiological stagnation promise more content in months or even years. This reminds me of the responses I’ve been promised in regard to my work on the Church Repent Project. I won’t hold my breath. They may publish something eventually, and I truly do hope they hit the right target next time. So far, however, they are aiming at the wrong people, with the wrong arguments, and seem to feel mightily proud about their friendly fire. There’s a lot to tackle here beyond the lazy, hypocritical nature of the article. 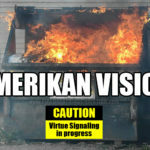 I hope to get into some of it here, but will likely have to follow-up in future posts in order to properly chase down, kill, and eat every rabbit offered up by American Vision. In my experience, the approach taken in this piece represents a common theme in the loudest corners of the Lone Ranger Christianity camp. Regularly reviling and lobbing the most intense of verbal bombs towards critics of a Lone Ranger camp that effectively controls the AHA™ brand while simultaneously shoveling out victim cards by the boatload as soon as anyone stops to point out the problematic behavior (and dangerous theology) that is often flying under the AHA™ banner has become a standard operating procedure for many Lone Ranger Christianity advocates. Is it important to be careful with the way we use labels and the way we describe others? It is vitally important that we use hard labels properly, and one way of assessing the propriety of their use is to test them for consistency. When T. Russell Hunter (a leader/owner of the AHA™ brand) calls someone a cultist (which he did at my Facebook page just a few days back), is that a problem too? 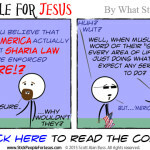 Or is that permissible? We need to take consistency seriously, and my hope for all of my writing on this (and every other) subject, including the two articles already posted, the one you’re reading now, and the posts that I hope to produce in the future, is that they are consistent in the application of standards. 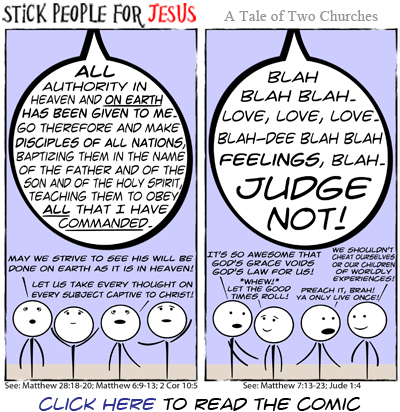 Many of those who complain about insulting language are themselves guilty of being insulting but their insults are disguised in pious language, when this really amounts to nothing more than being two-faced, and Christians seem to be experts at this. I’d rather someone say to my face what he really thinks in language that is straight forward than couch it in pious language that is disingenuous or behind my back, and I actually think this is more Christian than all the pious hypocrisy and two-faced rubbish one gets in church. So not only can the author provide links (and tons of ’em), but he can apparently post a direct quote in context, too. Regarding the Perks quote, the “Many” at the beginning there is one of several qualifiers that makes further examination necessary (you know, to see if those being targeted actually fit in the “Many” described in Perks’ comment). Maybe, after reading my articles on these subjects, the reader will think that I definitely fit right in there. Maybe they won’t. The point here is that the poor, lazy manner in which this particular American Vision hit has been constructed strings together a slew of references clearly aimed at one particular target without having the honesty or basic decency to accurately represent (or even clearly name) the target in question. Instead AV makes reference after reference to one specific author and reference after reference to the contents of specific articles written by said author without ever quite having the guts and integrity to name the author and directly cite his work. AV can link to a bajillion other places and quote other people, but it can’t quite bring itself to name or quote its “fire breathing” target? Is this what qualifies as intellectual rigor in the pro-Lone Ranger wing of the Christian Reconstruction movement? Is this what passes for the consistent application of objective standards there? Is this what real men do? Or am I just a big, bad meanie for daring to point these things out and label them appropriately. I know that these are hard lines to take and pointed things to say, and while they definitely have a certain “smack talk” vibe and similar rhetorical value, these questions are of significant value in a much more serious sense, particularly when aimed at a group of people who so often build their battle-cries around loud, proud claims to rigorous intellectual pursuit and the honest, accurate representation of opposing views. The selective application of standards by many of these guys is breathtaking, especially as exemplified in this AV piece. Hence the pointed, challenging questions that I am asking here. 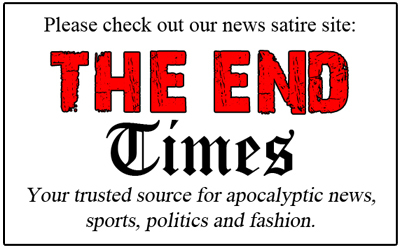 The hope here is to push back in a manner that, while rhetorically charged, still plainly encourages examination of the foundations holding up the AHA™/Lone Ranger Christianity position. One area in which the AV article author and I agree is that hard language is not inherently evil. It’s not inherently good either, of course, but we can’t be so thin skinned and snowflakey that we can’t say hard things to one another, including the use of some heavy labels and descriptions. We should be far more concerned with whether the labels are true or not than we should be concerned about sterilizing the world of any language, label, or level of confrontation that fails to meet the lowest levels of tolerance detectible in an increasingly small-minded, thin-skinned, and emotion-driven culture. So, just to be clear, I don’t mind that bucketloads of snark have been aimed at me in this AV piece. It’s the way that the snarkfest is packaged in a manner so thoroughly contrary to so many of the standards that the AHA™/Lone Ranger camp claim to embrace that inspires me to share this response. 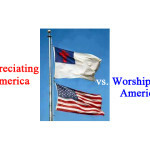 Maybe the new slogan for the Deconstructionist wing of Christian Reconstruction should be: By what double standard? “These are the simple facts thus far. The vast majority of the Reconstructionist critics who are resisting Reconstructing ecclesiology either do not follow or do not care about the long, detailed, often-repeated, covenantal arguments put forward from men ranging from Rushdoony to Marinov to myself. It is not that they have addressed the arguments and failed, but that they have failed even to address the arguments. Ah yes, people like me “either do not follow” or “do not care” what people like the author of this piece are trying to say. The way this author usually conveys this sentiment in social media is by frequently labeling those who critique his position as being either “too stupid” or “too dishonest” to accurately present/understand what he is saying. 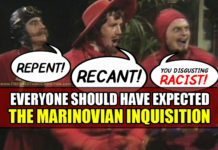 He also often allows for the chance that those who dissent from his view may just be “too delusional” to do any better. But there’s no chance that his opponents actually understand and honestly, legitimately disagree with his positions. No chance o’ that at all. This from the guy who’s apparently so honest and committed to integrity that he can’t even directly name or link to the work that he is clearly targeting. But enough of the big, bad name calling. Or is that accurate labeling? Ah yes, mandatory local church membership. 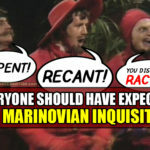 No matter how many times this is addressed in scores of conversations as well as in the very articles that the brave AV blogger didn’t link to, there remains a persistent, adamant insistence that I am arguing for or in some way defending the notion of mandatory local church membership as a requirement of salvation or some similarly silly thing. This is the biblical norm. This is the rule, though, as with many rules, there may be exceptions for a particular season or in particular circumstances. These seasons and circumstances notwithstanding, it is the biblically prescribed norm nonetheless, and we should thank God for its clear presentation in His Word. 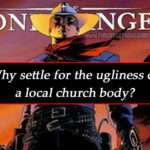 One of the more wacky and weird aspects of the ongoing thing between the Lone Ranger elements atop the AHA™ brand and those who are critical of the Lone Ranger Christianity movement is the way that, no matter how simply and clearly one makes plain that they are not of the opinion that local church membership is in any way a requirement for salvation, the charge still routinely comes flying out, almost reflexively and in automated fashion, from many of those in the Lone Ranger camp. Even I am tiring of harping on the whole “appropriate citation and linking” thing here, but it seems reasonable to wonder how the aversion to a simple, honest, easily accessible representation of opposing views demonstrated in this AV piece fits with the repeated claims or expressions of concern regarding honesty, intellectual integrity, and…well…accurately understanding and representing opposing views. Why the flagrant double standards? And who exactly are “the resistors of any ecclesiological reform” that are being called out here? Since this piece goes so directly at me in so many ways yet hasn’t the integrity to be precise and honest in basic ways required of legitimate journalistic pursuits, readers are unnecessarily left to wonder…and are thus encouraged to assume certain things based on the implications and indirect references made again and again. As for me and what I actually believe, serious readers of this blog know that I am anything but a “resister of any ecclesiological reform”. For the sake of honesty, integrity, and basic decency? 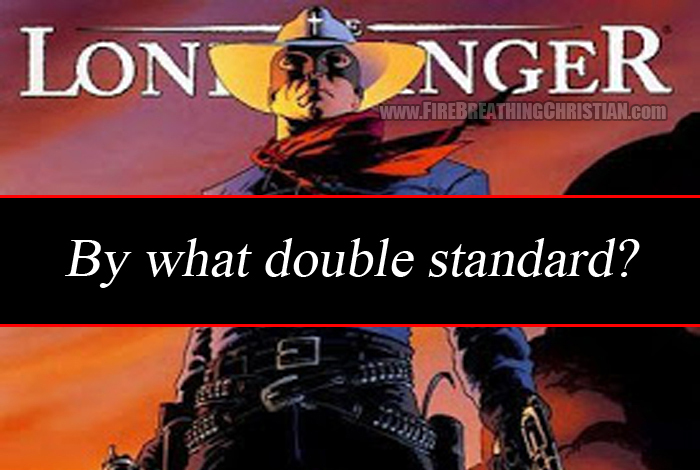 Or do you mean some other standard for you and the AHA™/Lone Ranger crew? Again: By what double standard? 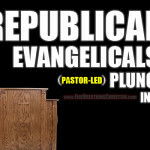 This really does seem to be the perfect slogan for the new “Christian Decon” movement. 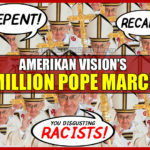 Are you certain that you are the only nameless one referred to in the American Vision article? Why don't you just pick up the phone and give Joel McDurmon a call and clear up any miscommunication or misunderstanding you might have? Yeah, I know you have the right to handle things publicly, but is it profitable? Is it the best way? Have you not engaged in "ad hominem"? Or are you saying that there is sin? If it's not sin, then would it be ad hominem? 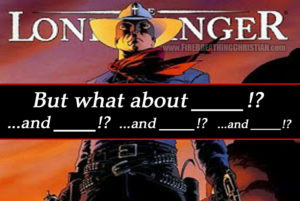 Also it would help readers to define AHA and name your Lone Ranger(s). You seem upset that you were not named or linked to. You also seem very upset that people misunderstand what you are trying to "say". Or are you upset that people are avoiding correction and reproof? As for the notion that I am “the only one referenced in the American Vision article,” I do not hold and have never expressed that view. Please re-read the article. What I do believe (and is easily verifiable) is that I was specifically referenced many times in the article in a manner that made the inclusion of direct quotes and/or links not only appropriate, but necessary in order to maintain a basic level of journalistic integrity. That’s all. It never struck me that the “miscommunication” or “misunderstanding” that you mention exists. I believed then and believe now that the approach taken in the AV piece was deliberate and clear. I responded to Joel McDurmon in a thread on related subject matter correcting his apparent assumption that I hadn’t written or shared any detailed thought on the Lone Ranger subject beyond some Facebook posts. I informed him that I had written two articles and I shared links to those articles. I didn’t see any response from him after that in the thread in question, though I could have missed it, I suppose, since I don’t religiously dive through every sub-thread and sub-sub-thread related to any particular Facebook I might make or contribute to. I was curious to see Joel’s response, but never saw one there. Then came the AV piece. As for the “being upset” bit, I’m not. At least not in some emotion-driven sense. 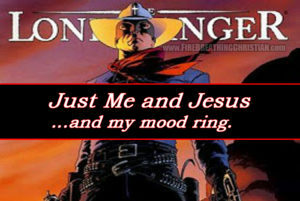 I’ve written a total of three articles over the past six months on the subject of Lone Ranger Christianity and, if I hadn’t been such a clear target of the AV article, it probably would have been weeks or even a month or so before I finished and posted my next article on this subject. 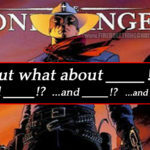 There are many aspects and related questions to address in this area and I will be taking my time getting there for a variety of reasons, not the least of which is my work on several other projects not at all related to the Lone Ranger/AHA™ thing. The primary concern (not to be confused with some sort of emotion-centered “upset-ness”) that motivated this article is the loud and clear embrace of double standards by many leaders carrying the Lone Ranger/AHA™ brand. This is a reasonable concern, I believe, and one that ought to be confronted. Thank you again for taking the time to chime in here.